Nice solid colored cardigan with contrast colored edge at the front of the button. 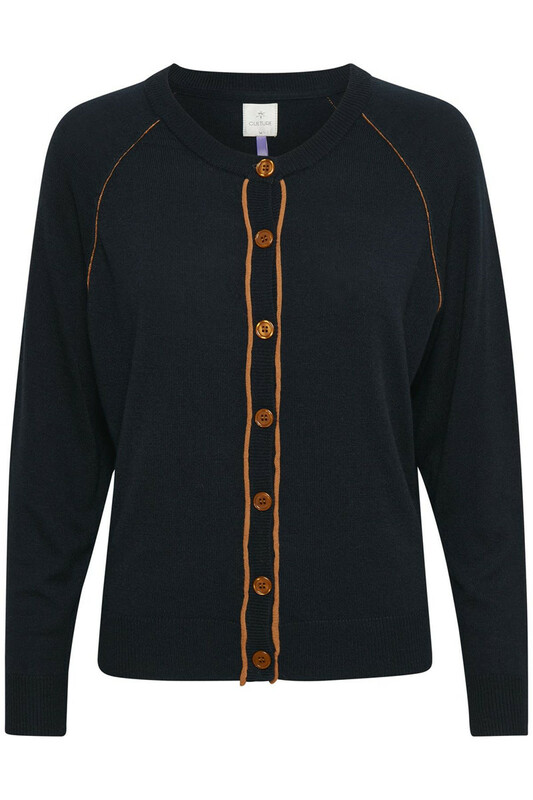 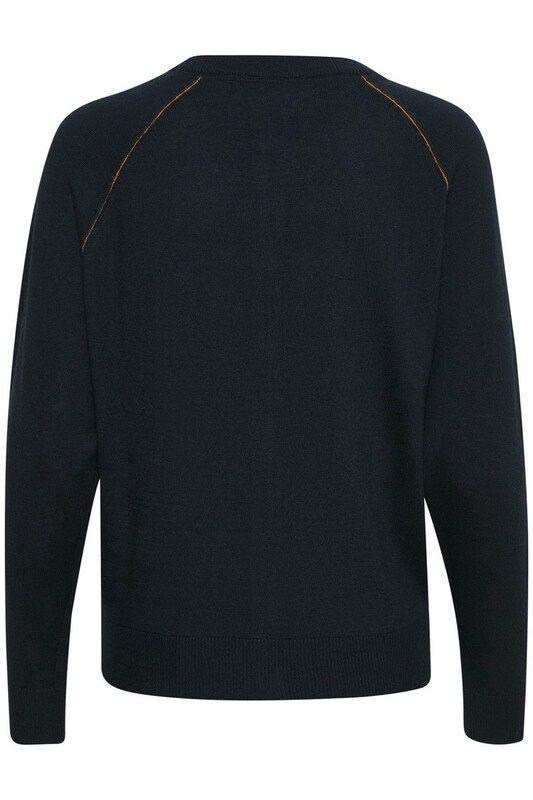 This Culture cardigan has a regular to tight fit, round neck and long sleeves. 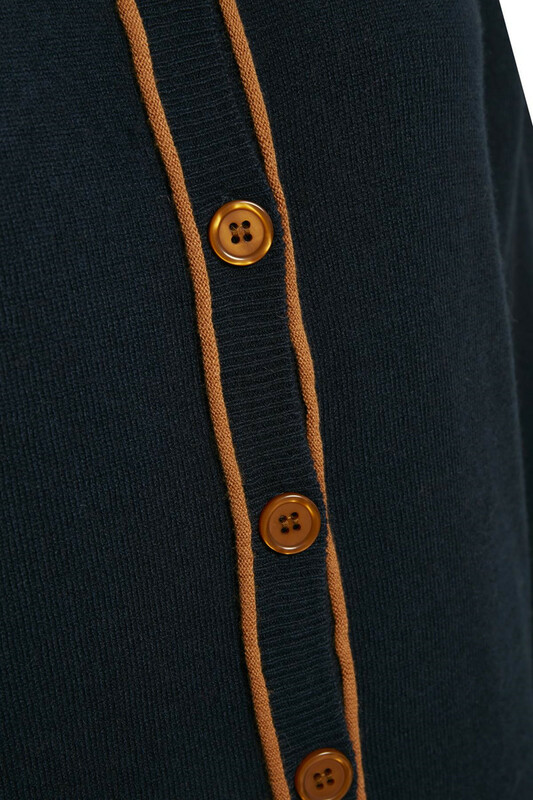 The contrast colored buttons match nicely to the edges.